The National Association of Counties (NACo) is the only national organization that represents county governments in the US. United We Serve is a nationwide service initiative that helps meet growing social needs resulting from the economic downturn. http://www.nationalservice.gov The Corporation for National and Community Service is a federal agency that engages more than five million Americans in service through Senior Corps, AmeriCorps, and Learn and Serve America, and leads the president's national call to service initiative, United We Serve. AL!VE serves to enhance and sustain the spirit of volunteering in America by fostering collaboration and networking, promoting professional development,and providing advocacy for leaders in community engagement. Energize, Inc. is an international training, consulting and publishing firm specializing in volunteerism. Welcome to OzVPM the Australian Volunteer Program Management web site, developed to assist those who have a responsibility for the management/coordination of volunteer groups. HandsOn Network’s specific expertise in the field of service and volunteerism can meet the needs of cities wanting to successfully implement municipal volunteer programs. http://www.cvacert.org The Council for Certification in Volunteer Administration advances the profession and practice of volunteer resource management by: Articulating core competencies for the profession of volunteer administration; certifying individuals who demonstrate knowledge and competence in the leadership of volunteers; advancing standards of ethical practice; and promoting professional development and education. http://www.jffixler.com/ Through volunteer engagement consulting, organizational development, and customized training, JFFixler Group can partner with your organization to build its organizational capacity, create sustainable change, and increase your organization’s results. http://www.nonprofitrisk.org/ Nonprofit Risk Management Center helps nonprofit leaders become risk aware, identify and appreciate critical risks, and take action. Provides reliable counsel on risk issues ranging from employment practices, to risk oversight and governance, enterprise risk management, fraud prevention, financial risk management, and youth protection. 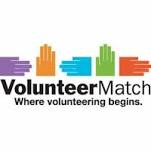 http://www.volunteermatch.org/ VolunteerMatch brings good people & good causes together. http://www.idealist.org/info/VolunteerMgmt Idealist provides roundup of research, best practices, tools, and ideas in the field of volunteer management. 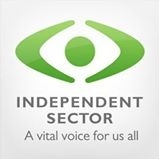 http://www.independentsector.org/ Independent Sector is the leadership network for nonprofits, foundations, and corporations committed to advancing the common good. http://www.taprootfoundation.org/ Taproot is a nonprofit organization that makes business talent available to organizations working to improve society. https://www.catchafire.org/ Catchafire matches professionals who want to volunteer their skills with nonprofits who need their help. http://www.volunteerfrontier.com/ Volunteer Frontier is a thought leader in helping nonprofit and government agencies address the full spectrum of volunteer engagement to raise funds, save money, and achieve more impact.